Alibaba, China's top e-commerce firm, beat analyst estimates with a 56 percent rise in first-quarter revenue, driven by strong online sales. Thursday's results show that Alibaba Group Holding Ltd, one of Asia's most valuable companies, continues to derive the lion's share of its revenue from e-commerce, despite strong growth in its entertainment and cloud businesses. Sales on the company's e-commerce platforms made up 86 percent of revenue in the three months to June 30, up from 73 percent a year prior. Alibaba's stock is up more than 81 percent this year, buoyed by company predictions of strong full-year revenue growth of between 45 and 49 percent. During a call with analysts on Thursday, executives said the firm expects a more meaningful contribution from offline initiatives as part of its so-called "new retail" strategy. "At least for now we don't see any full integration between offline and online (technology) and that's a problem," said Pacific Epoch senior analyst Steven Zhu. "If you don't have full integration then new retail remains a concept rather than reality." 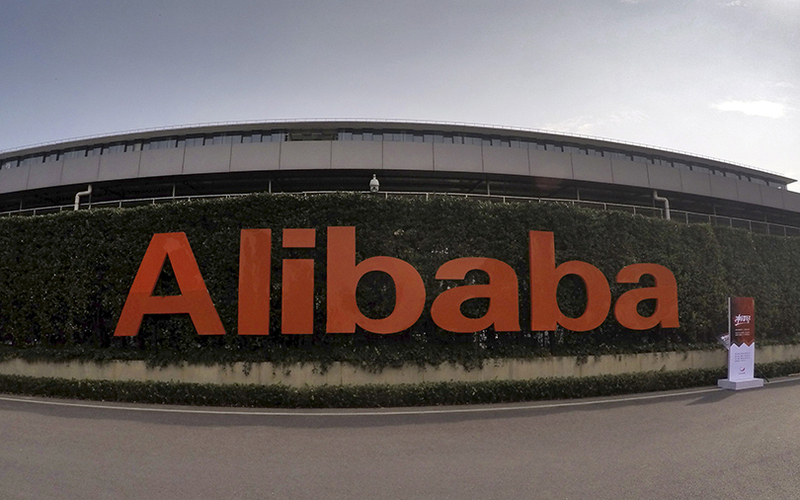 Alibaba's revenue rose to 50.1 billion yuan ($7.51 billion)for the three months ended June 30, compared with analysts' average estimate of 47.7 billion yuan, according to Thomson Reuters I/B/E/S. Alibaba's cloud business boosted its global data centers to 17 during the first quarter, with the addition of two centers in India and Indonesia. Net income attributable to the company's shareholders nearly doubled to $2.17 billion, or 83 cents per share. Shares of Chinese e-commerce firms, including Alibaba.com and JD.com Inc, have outperformed the market in 2017, buoyed by positive revenue growth around June sales events and overseas expansion.